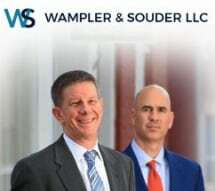 At Wampler & Souder LLC, we are dedicated to using our experience and resources for the benefit of every Maryland client who walks through the doors of our Upper Marlboro law office. Clients throughout Frederick, Montgomery, Washington, Prince George’s, Carroll, Howard and Anne Arundel counties turn to our knowledgeable team during some of life's most complex times. We currently take cases related to family law, divorce, bankruptcy and personal injury. We know that positive results matter to you, which is why we provide a uniquely personal approach to every case we take. Our goal is to help you reach your legal objective, all while keeping you regularly updated on the progress of your case and fighting for your interests. We have helped previous clients achieve positive results in even the most complex of cases. No matter what you are up against, you can trust the team at our law firm to aggressively pursue a beneficial outcome. Our goal is to help you keep your costs low and avoid negative legal complications in your future. Every member of the Wampler & Souder LLC team will leverage his or her skills and knowledge of the law for your benefit. You can learn more about your legal options simply by scheduling an appointment at our law office. The Law Firm of Wampler & Souder, L.L.C., provides experienced, aggressive and compassionate legal services to those in need of a family law attorney. BE QUIET – REMAIN SILENT – DON'T SAY ANYTHING. When charged with or being held for suspicion of a criminal act, the only thing to say to the police is that you want to speak with your attorney at The Law Firm of Wampler & Souder, L.L.C. Our firm has handled hundreds of bankruptcy cases and can shepherd you through the many pitfalls that exist in bankruptcy. Internet petition preparers often charge as much or more than attorneys and do sloppy and unacceptable work. We represent builders, contractors, subcontractors, homeowners and home improvement specialists throughout Maryland, Virginia, and the District of Columbia. Through the use of a trained mediator and arbitrator, dispute resolution is often more cost effective and efficient than seeing a case all the way through a court of law.